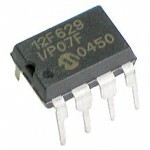 Purchase online in India PIC12F508 Microcontroller at low price from DNA Technology, Nashik. 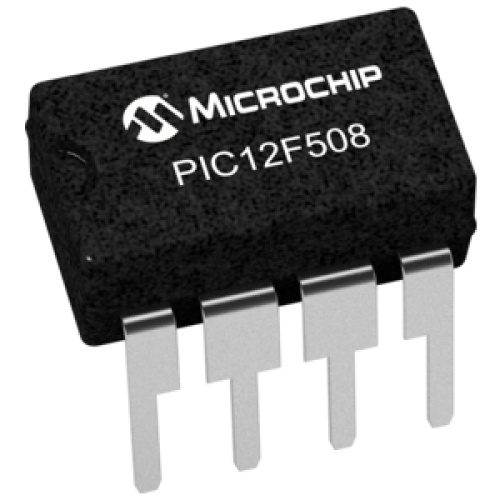 The PIC12F508 devices from Microchip Technology are low-cost, high-performance, 8-bit, fullystatic, Flash-based CMOS microcontrollers. They employ a RISC architecture with only 33 single-word/single-cycle instructions. All instructions are single cycle (200 µs) except for program branches, which take two cycles. The PIC12F508/509/16F505 devices deliver performance an order of magnitude higher than their competitors in the same price category. 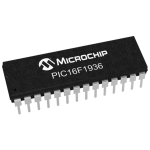 The 12-bit wide instructions are highly symmetrical, resulting in a typical 2:1 code compression over other 8-bit microcontrollers in its class. The easy-to-use and easy to remember instruction set reduces development time significantly. 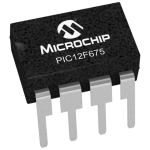 PIC12F6298-Pin FLASH-Based 8-Bit CMOS Microcontrollers from MicrochipPIC12F629 is Microchip's Flash-..